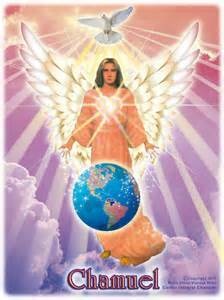 Good afternoon, we are the Council of Angels including Archangel Chamuel, the angel of unconditional love. We wish to bring to you today an illuminating inspiration that will infuse your spirit with the uplifting energies of unconditional love, joy, peace, and calm. We of the angelic realm are the overseers of the care and guidance of humanity, especially during this time on earth of the Great Awakening. Each being on your planet is going through a transformation process wherein the light quotient within your entire being is being uplifted and upgraded to a higher frequency vibration to match the higher dimensional energies now surrounding your entire planet, mother earth, Gaia…..as we have noted in the past, this dear soul of Gaia wishes to embrace you with unconditional love as well, so you see you are embraced by the Greatest Love of All which is Source Creator, as well as the unconditional love from the angelic realm above and the unconditional love of dearest Gaia below. You have heard the expression “as above, so below”, we could say this would be true of the energetic essence of unconditional love, that indeed you are surrounded by this energy. You can easily tune into this energetic essence by taking time as you begin your day and end your day to soak in this beautiful energy. Soaking in and absorbing this divine love will bring a peace and calm to your entire being which will assist in anchoring your human vehicle so that you may go about your day in a grounded, yet uplifted, way. This is the way to coast through life, to be in this world but not of it, to be tuned in with this divine energetic essence of love which will then uplift your entire being. Unconditional love knows no boundaries, no divisions, it is the All of All, the Everything of Everything, for everything was and is created from Source through the power of Unconditional Love. 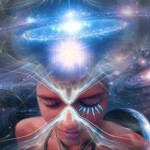 Your being is surrounded in this energy at all times, all that it takes to feel this beautiful energy is an awareness and a desire to tune into it. During this season of light, we are wishing for all beings on earth to tune into this divine energy…..may all discordant energies transform into and turn towards this beautiful divine essence of unconditional love. 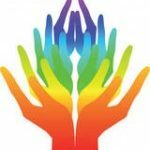 It is there for all, and our realm is focused at this time, during this Now time, on amplifying this energy so that all of humanity may feel this loving energy on a deeper level. We send you our softest wishes of love during this blessed Season of Light on earth. Call on us at any time for assistance in any area of your life and we are but a whisper away. 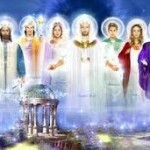 We are, the Council of Angels, including Archangel Chamuel, Michael, Raphael, Zadkiel, and Gabriel.